With levels of household debt currently high and the country itself caught in a debate over austerity policies and public spending, the need to understand money management is as important as ever. However, it can be very difficult to talk to young people, especially older teenagers about how to live within their means and make wise financial decisions. Fortunately, a 2020 Dreams Financial Responsibility, Money & Budget Workshop can support parents and teachers in helping young people to understand the principles of financial responsibility – and to start applying them. The seeds of financial responsibility are sown early on and parents do not always set a good example when it comes to managing money. For example, they may regularly pay extra to buy unnecessary goods on a credit card or play the role of a ‘magic money tree’ whenever their children need anything, depriving them of the chance to learn directly about the principles of budgeting. In some households, money is deemed an improper subject of discussion and never talked about at all. A budget workshop can fill in some of those gaps by giving young people hands-on experience of financial decision making alongside the chance to talk about their own ideas of how money works. In the context of business and entrepreneurship, a budget workshop will help to teach the basic fundamentals of accounting such as cash flows and profit/loss calculations. The earlier children grasp these principles, the stronger their business acumen will be as they move on to more complex aspects of running a business. 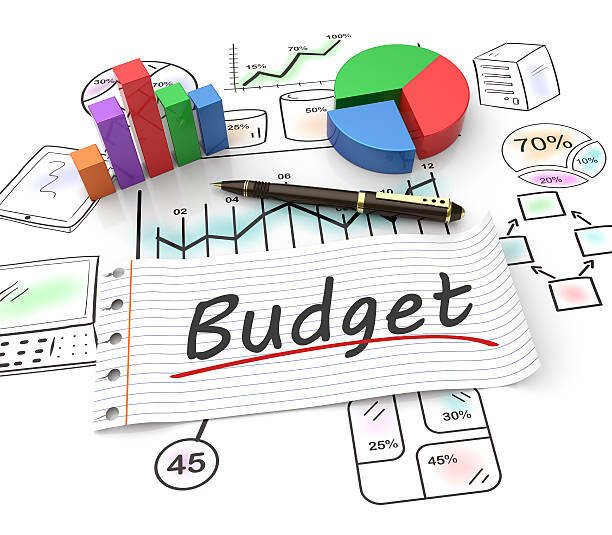 As well as helping individual children with their home and business money management, a budget workshop can help children to begin to understand the central place of budgeting in the national and global economies and the controversial area of government borrowing and public spending. What Happens in a 2020 Dreams Financial Responsibility, Money & Budget Workshop? It is expected that after attending a 2020 Dreams Financial Responsibility, Money & Budget Workshop students will have a much greater understanding of the value of money and the notion that it is not unlimited. They will also gain an understanding of the principles of interest, debt and savings. Rather than focus on simply giving out factual information, our workshops follow a proven format that has been shown to increase engagement among young people of all ages. For example, realistic role play situations will place the young person themselves at the centre of a scenario in which their understanding of money management can be explored and expanded. For example, they may be required to make tough decisions about how to allocate money to different areas of a project or choose from different hypothetical financial providers. Children and older teens may have many questions about money but never had the chance to bring them up. Our open forum debates, run by our experienced facilitators but led by the young people themselves, are ideal for raising these queries, discussing experiences and clarifying understanding on a young person’s level. As experienced PSHE workshop providers, we can travel to schools and institutions anywhere in the UK. We work with institutions for young people of all ages, from primary schools right up to PRUs and Young Offenders’ Institutes. Course content will always be pitched at the appropriate age and we are happy to discuss tailoring content to focus on specific areas of interest if needed. If you want to find out more about our Financial Responsibility, Money & Budgeting Workshop or any other of our Business courses please either email us at hello@2020dreams.org.uk or call 0800 471 4983.